Strong relationships with your partners are built by creating a solid, well-planned foundation. And this foundation should be built on impactful partner onboarding training. With great partner training content and the help of a learning management system (LMS), onboarding your channel partners or resellers is attainable and worth your investment. How partner onboarding training benefits your business. And what are the partner onboarding best practices your business should be following. Partner onboarding is the action of providing your partners with the skills and knowledge they need to become successful at selling your product or service. It trains, educates and guides your new partners through their first few weeks or months working with your business so that you achieve mutually beneficial results. Onboarding gives your partners the knowledge they need to succeed, be more productive and sell more for your business. Thus, fueling your growth. Greater success is not only great for your profits, it also means happier partners and ultimately happier customers. High-achieving partners are more likely to be engaged, loyal and you’ll retain them for longer. Effective onboarding leads to your new partners becoming successful faster. Through onboarding training, they are given the tools they need to become productive, there’s a mindshare of resources and they can get up and running ASAP. Onboarding training reduces the number of product-related questions and support resources needed for your partners. As you’re giving them the tools they need upfront, you’re saving money in the long-run as they need less guidance in the future. It's not enough for your partners to sell your product or service, they also have to be a great representative of your brand. Onboarding training helps keep the standards up. You can teach each partner about your brand vision, align them with your brand values and use valuable feedback to improve your product. Smart organizations use their partner onboarding as a powerful marketing tool - think HubSpot or Salesforce. Becoming a partner is a badge of honor for businesses. Partners that are successful and associated with a well-known name want to share that they're part of your family and that delivers an immeasurable boost to your brand. Many products continually evolve and improve. With each improvement, you want your partners to be quickly aware, so they can sell the benefit. A partner onboarding process can enable you to quickly roll out training on product updates and track that partners have taken the training and are therefore providing end customers with the most up to date product benefits. The purpose of partner onboarding is to educate each partner on the topics you believe they should know. The topics that will help them become a champion for your business. To do this, you need to assess their overall training needs. Planning worthwhile training starts by reviewing the training you’re currently carrying out - formally or informally. If you’ve done eLearning before, look at the courses you rolled out and the success rates they had. If you’re starting from scratch, look at the resources and tools you give your new partners. Guides, walkthroughs, blog posts - whatever you share should be noted. Next, it’s likely you’re aware of the must-have content you need to provide to your partners so start by listing it. This doesn’t have to be a comprehensive list. Just jot down what you know your partners will need. This list can be quickly written up in Trello, Excel or Google Sheets. It can be a top-level mix of product, company and resources information that needs to be delivered in your training. In the final step of your training assessment, hunt down the knowledge gaps. The best place to discover these is to ask the people in the know - your team and current partners. Ask your team what questions they get asked most frequently by partners and where they spot potential areas of improvement. Ask your most trusted partners what information they would like and how they think you can support them better. This should give you a generous list for training content. With all of this insightful information collected, you can then develop effective training that meets you and your partners’ needs. Great course content is only a part of your partner onboarding training. You also need to decide how to deliver your training. With an LMS, you can take advantage of features that make onboarding as streamlined as possible. Adding your users (partners) to your LMS is the first action to take. They can be added in a number of ways and it's down to you to pick what works best for your business. Single sign-on (SSO) is a popular choice as it enables your partners to click a link in your product and then they are brought to their training portal. Manual upload of your partners' information is another way to get them started with training. Done with a CSV file, it's quick and suited to one-off partner list uploads. Alternatively, if you’re continuously acquiring new partners, consider connecting your partner management system to your LMS. With a simple integration, your systems can 'talk' to each other. So when a new partner comes aboard, they are automatically added to your LMS. 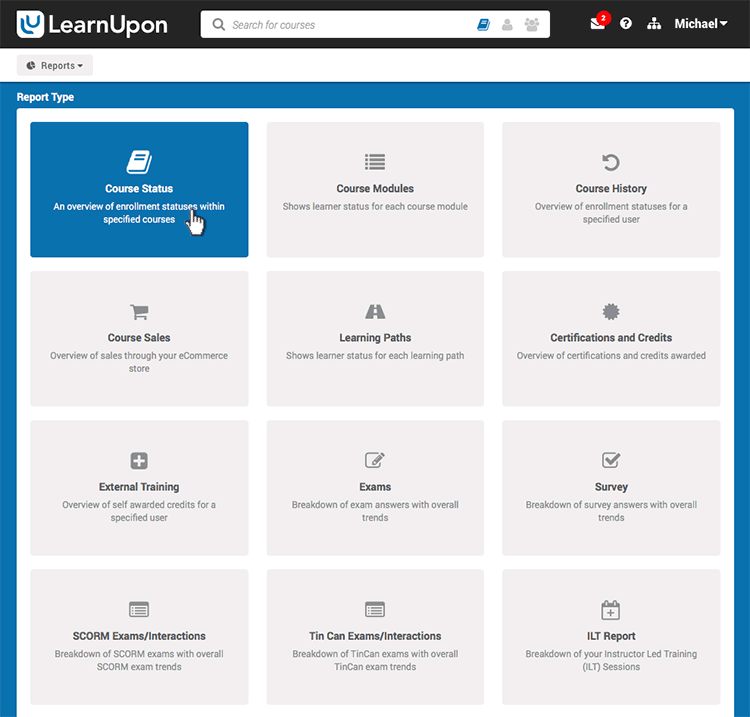 When added to your LMS, you can also map out the notifications and training that your learners are offered. If it’s optional training, your partners can have access to your catalog where they self-register in the courses they want to take. Required training can be set up so that when your partner is added to a course, they are notified via email when it’s time to train. Reminders can also be set up so that they don’t forget to complete the training. Depending on the needs of your partner business, your LMS can provide more sophisticated features that make your training more impactful. This is most important when you’re a growing business needing to train more and more partners. Many businesses with fast-growing partner bases utilize portals for scalability. Each partner can have their own unique eLearning portal, unique URL, and branding within your LMS. These can all be managed within one account. This means you can configure the branding and upload logos and banner images to create a portal that is customized to your partners and easily managed by you. Overall, it creates a positive, seamless online learning experience that strengthens their relationship with your business. Once you’ve planned your content and the logistics of adding and managing users in your LMS, it’s time to plan how to optimize your training to increase the likelihood of partner success. Features such as assessments and quizzes can be used to measure understanding and track completions. A more structured approach for delivering your training is through learning paths. This feature gives you the ability to control the order and timeframe in which your courses get assigned and become available to your partners. You simply set the path up in advance outlining when you want your partner to be enrolled in a set selection of courses. For example, when your partner starts training, you can enroll them in their first course. When they’ve completed that course, they’re then automatically enrolled in the next course you have selected and so on. Your learners’ follow the sequence you’ve set for their onboarding training until they’ve completed each course. It’s a smart feature as it drip-feeds them content, doesn’t overwhelm them with information, and you can rest assured that they are completing their training. Perhaps one of the most important features for partner training is certification. Certifying your partners proves they've met a specific standard of product knowledge. And certificates can be automatically awarded to learners based on rules you establish within your LMS. For example, if they pass an exam or complete a series of courses, they'll get a certificate. Conveniently, certification can be set on a periodic basis. If you want to recertify your partners or resellers every year or two etc., simply set an expiry and re-enrollment date. Your partners are then re-enrolled and notified automatically without any further input from you. You can retrain and recertify with ease while upholding your high brand standards. A key element to great onboarding training is automatically generated reports and captured feedback. This enables your business to track and analyze training performance, gather partner feedback, and use it to improve your business in the long-term. With LMS reports, you can monitor who has completed their training and if that training has helped them perform better. Based on these results you can adapt and optimize your onboarding to boost partner success. You can also build an important feedback loop that not only improves your training, but your product and sales processes too. With surveys, ratings and comments, your partners can provide thoughtful insights that improve your business’s process and help you grow. As you grow as a business, you need to build stronger relationships with your partners that will fuel your growth. And partner onboarding enables you to achieve this. Whether you’re implementing training with an LMS or simply starting to better structure your current process, you’ll see a tangible impact for your business.